High quality chrome vanadium, drop-forged steel spanners. These spanners are hardened with a special heat treatment and mirror finished chrome plating for greater corrosion resistance. 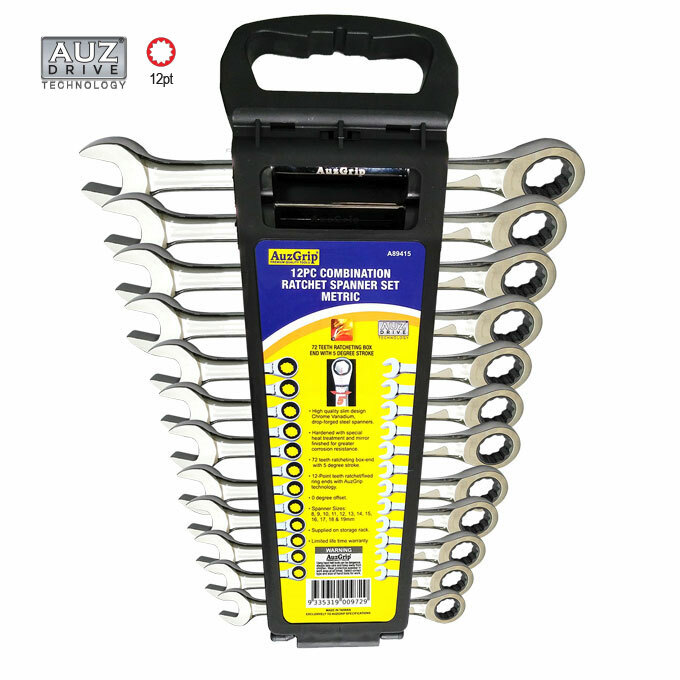 O°offset, ratchet/fixed ring ends feature 72 teeth, 5°stroke and have 12point Auzdrive technology.